Synthetic peptide corresponding to Mouse MC4-R aa 21-33 (N terminal). 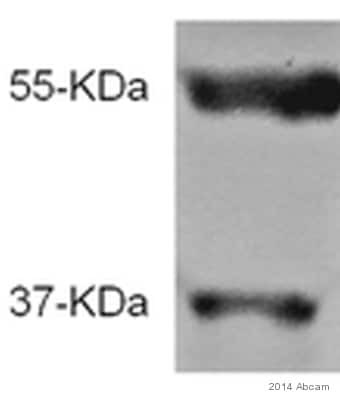 This antibody mainly detects an unglycosylated protein at 37kDa and a glycosylated protein at 55kDa. Our Abpromise guarantee covers the use of ab24233 in the following tested applications. WB Use a concentration of 2 µg/ml. 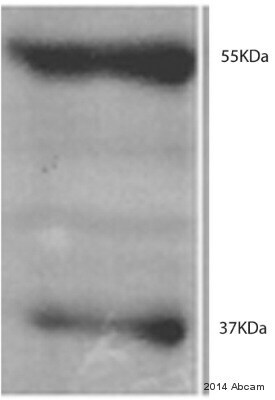 Detects a band of approximately 37 kDa (predicted molecular weight: 37 kDa).Can be blocked with Mouse MC4-R peptide (ab78212). A larger band is also detected at 55 kDa. This most likely represents the glycosylated form of the protein. ELISA Use a concentration of 0.4 µg/ml. Receptor specific to the heptapeptide core common to adrenocorticotropic hormone and alpha-, beta-, and gamma-MSH. This receptor is mediated by G proteins that stimulate adenylate cyclase. Brain, placental, and gut tissues. 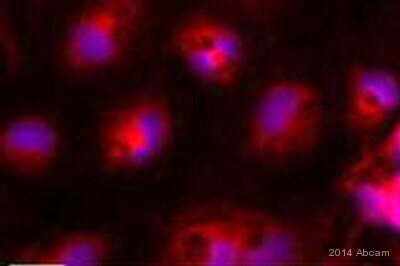 Defects in MC4R are a cause of obesity (OBESITY) [MIM:601665]. It is a condition characterized by an increase of body weight beyond the limitation of skeletal and physical requirements, as the result of excessive accumulation of body fat. Lane 1 : Human cerebella cortex pellet. Lane 2 : Human hippocampus homogenate. 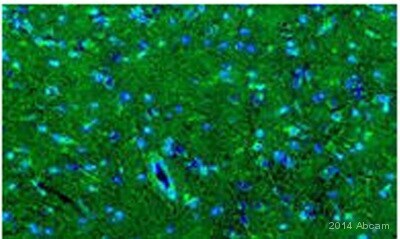 ab24233 staining MC4-4 in Rat brain tissue sections by Immunohistochemistry (IHC-Fr - frozen sections). Tissue was fixed with paraformaldehyde and blocked with 5% serum for 1 hour at 21°C. Samples were incubated with primary antibody (1/1000 in TPBS + normal goat serum) for 19 hours at 4°C. 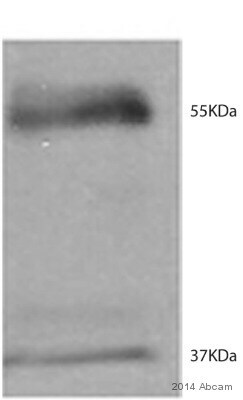 A biotin-conjugated Goat anti-rabbit IgG polyclonal (1/200) was used as the secondary antibody. 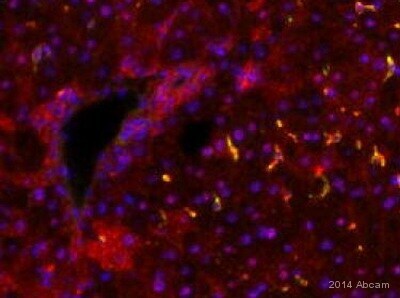 Immunoperoxidase staining of rat brain section with ab24233. 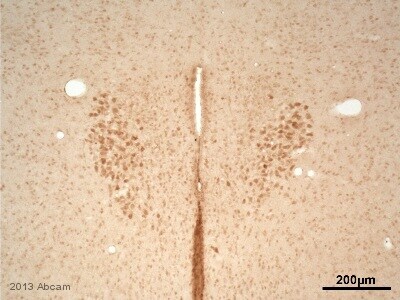 Note the tadpole like staining of cortex neurons. Publishing research using ab24233? Please let us know so that we can cite the reference in this datasheet.